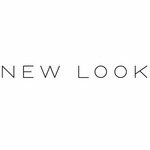 15% Off £40 Voucher Code at New Look – Full price New Look products only (excludes sale items and third party brands). There’s a New Look store on every major British high street and busy shopping mall – 590 in total. And we have almost as many stores further afield, including mainland Europe, the Middle East, and South-east Asia. See all the biggest and best New Look discount codes and deals here. Get the best vouchers and deals in our weekly newsletter! £50 of Max Factor For £16 – Free Gift Offer!